When you sit down to evaluate a player for the next level, there’s one basketball scouting question you must answer above all else. I learned about this question years ago from one of my mentors, an NBA scout and executive, who likes to ask aspiring scouts if they know what it is. People make all kinds of guesses. They’re good guesses. These things matter, of course. None of them are the answer he’s looking for though. What can this player do to earn minutes at the next level? His thinking boils down to one clear point. If the guy can’t get on the floor, what good is he doing us? I can appreciate the simplicity of that statement. After all, the goal is to win basketball games. Someone you consider a prospect doesn’t help your team win much if he or she can’t get on the floor. I’d like to take my mentor’s point further here and talk about it with regard to the NBA Draft and explore additional reasons why it matters so much. 1) If the player isn’t getting into games, how is he or she helping me? Of course there are other ways in which players help a team. I don’t mean to say that if you’re a player who doesn’t get into games, you’re not worth having around. But this basketball scouting question is where you should start looking in forming an evaluation. And it’s a valid answer! I’m just saying you need an answer. You can’t ignore the question. Maybe this question already sounds obvious to you. And sure, it can when you really reflect on it. But in practice, many scouts, especially ones who just decided to start scouting, get hung up other parts of the evaluation and totally lose sight of it. They obsess over a player’s clear physical attributes or reputation as a person of supreme character. These scouts forget to think about the thing that matters most — helping the team win games. By focusing on this one basketball scouting question you can make sure you’re in the right scout mindset. 2) In-game experience plays a crucial role in a player’s development. The overwhelming majority of players enter college or the NBA with much developing left to do. Work ethic matters, both inside and outside of team practices. There’s no getting around that. But there’s no substitute for in-game experience either! It’s a big reason we see so many young players with underdeveloped post moves. We often watch players go up a level and struggle with the speed of the game, the physical advantages of the competition, and the difficulty in grasping more sophisticated systems and principles. Getting repetitions in games allows young players to get the important exposure they need to become valuable contributors. The young Sixers’ forward Dario Saric spoke about how getting enough in-game experience allowed him to start figuring out what to focus on. He recalled one night when things began to click for him. There’s only so much development that can happen in practice. Even the best prospects have areas in which veteran opponents can expose them. Many athletic young wings can’t shoot. Some talented pass-first point guards can’t shoot from the perimeter either. Most young players become immediate liabilities on defense upon going up a level of play. It’s why we as scouts need to begin our work by looking at what a player can do, as opposed to what a player can’t do, as a couple scouting mentors of mine say. Once you know how a player can contribute, you can make a determination about what to do with regard to his or her liabilities. A player who gives your team something valuable earns the in-game experience he or she needs to develop to their fullest potential. For example, NBA players like Jason Kidd and Kyle Lowry came into the league as non-shooters. Because their skill sets made them ready to contribute early in their careers, they earned the time and in-game experience to eventually develop their jump shots. Another player who can’t get on the floor faces an up-hill developmental journey because he or she can’t get in-game repetitions. That wing you think might be a good three-and-D prospect — but who can’t shoot yet — might not have enough time to develop his shooting if he’s a minus on defense now, too. 3) The first two or three years are so important. NBA teams can have their first round picks for four years on their affordable, team-friendly first contracts. Second round picks and undrafted players usually sign even shorter contracts. After that first contract, good players start to get paid, whether it’s through an extension or restricted free agency. If you’re an NBA team, how much sense does it make to spend two or three years developing a player without reaping contributions on the floor, only for him to maybe leave and take an expensive new contract with one of your competitors as soon as he becomes any good? Winning in the NBA with a young point guard is almost impossible unless your point guard has the size of a center. Tjarks shares an important idea there. If you’re willing to make a huge sacrifice by investing in a player who will make zero or negative contributions to your team in his first two or three seasons, you’d better really believe in that player’s ceiling. How many NBA players can you name who couldn’t crack a team’s regular season rotation in their first two or three years with a team — and who still went on to be rotation players shortly afterward? Look around! It’s a short list. The guys who played early are usually still playing. The guys who didn’t play early still aren’t playing. Yes, sometimes a player rides a bench, goes overseas for a few years, and then comes back to play in an NBA rotation. But is that really an eventuality you want to be thinking about when you’re scouting someone for the NBA Draft? Better to make sure you’re operating in alignment with your scouting goals. As I shared earlier, try to think about what a player can do, rather than what he or she can’t do. I like coaches. I don’t want to saddle them with players who are liabilities. If I’m a front office, I trust my coach to figure out how to get young players on the floor in spite of their weaknesses, so long as there’s some way they do contribute value. I also appreciate this basketball scouting question because it’s simple. It can help you stay focused. Like the overwhelmed aspiring scouts from the beginning of this article, it’s easy to get hung up on all the other things you want to evaluate. Athleticism, potential — whatever those are — plus even less tangible things like character can muddle the waters. A big portion of your job as a scout comes down to communication. You can do it better when you can offer a simple explanation of what a player contributes. If you can give an answer in a 30-second elevator pitch or by writing it on a postcard, even better. 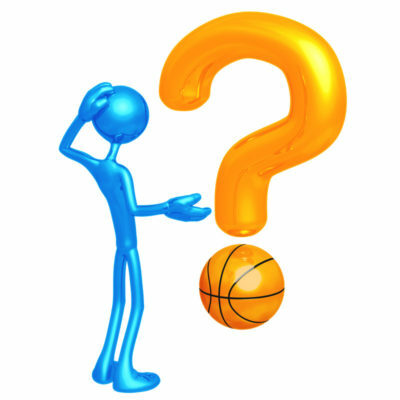 So begin by asking this basketball scouting question. Then you’ll be on your way.